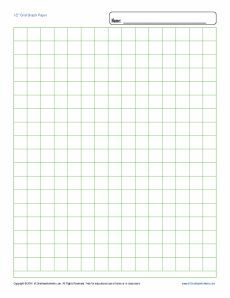 Teachers, parents and students can all use this easy-to print graph paper. It has a 1/2" grid and may be printed in color or in black and white. Print as many or as few as you like.